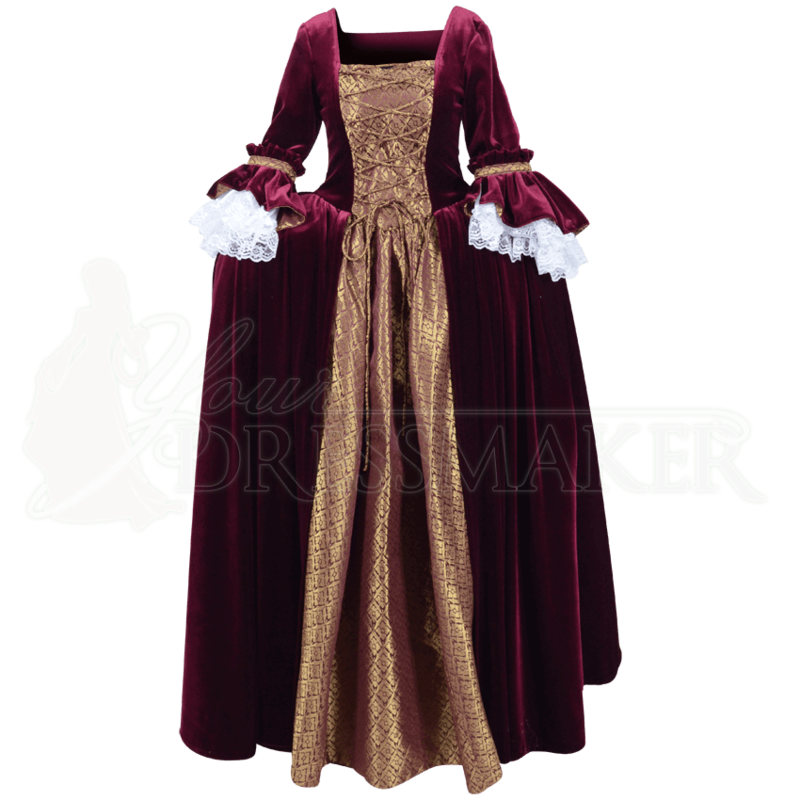 Turn heads at your next costume ball, tea party, or other royal appearance when you wear the Elegant Renaissance Dress. This handcrafted dress is made of luxurious royal velvet in a beautiful burgundy paired with ornate gold brocade. The front panel features lacing down the bodice, giving a layered look to this Baroque-inspired ball gown. Lacing down the back of the bodice adds a touch of romance and adjustability to the design. 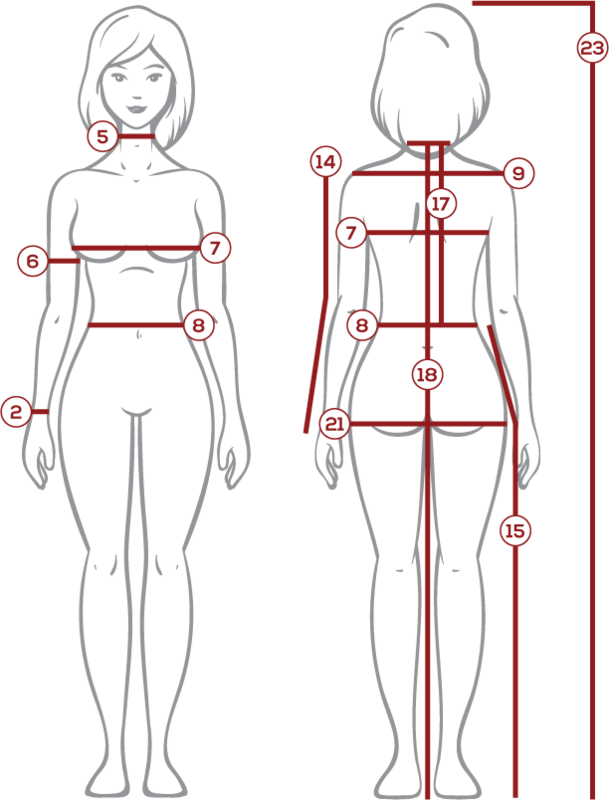 Inside the dress, the bodice is lined with soft satin and has incorporated plastic boning to support its silhouette. To get the historical skirt shape shown, wear this velvet Renaissance dress with our Renaissance Pannier (MCI-241), sold separately. The satin-lined sleeves of the gown end at the elbows, where its cuffs erupt in layers of ruffled velvet and white lace framed by bands of brocade. 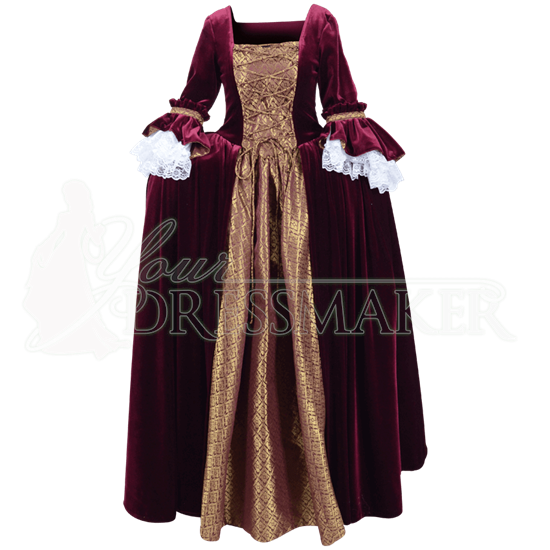 If your reenactment event calls for unmatched beauty, choose the Elegant Renaissance Dress.